The CFTRI-Buhler Expert 5 - day milling course is specially designed for the individuals having experience in flour milling & allied fields and seeking updates towards advanced technologies, flow sheets and the recent developments in the milling technology. The course focuses on advanced flow sheet designs for cleaning and milling, detailed discussions on flow sheets, break and reduction rolls setting and the release, purifier details and value added products. 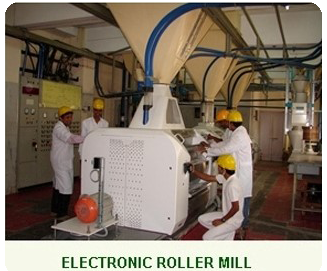 It also covers the aspects with regards to whole wheat milling and the latest developments therein. Practical classes/demonstrations on cleaning and milling of wheat will be conducted at the International School of Milling Technology Pilot Plant, CFTRI. The faculty members for the course are from CSIR-CFTRI, Mysore and Buhler, Switzerland. Training fee includes Registration kit, Course material, Working lunch and Session tea. Participants have to make their own arrangements for accommodation. The account details for Wire transfer / E-payment is as below (A/C Details to be given below). The details of E-transfer may kindly be sent to stc@cftri.res.in immediately after the transfer. Participants can visit our website www.cftri.com/stc for online registration. NRI/Foreign Nationals are requested to send the following documents through e-mail. The above details are to be sent well in advance (at least 8 weeks before the date of commencement of course) to stc@cftri.res.in for clearance from competent authority.